For anyone familiar with the culture of the Philippines, it’s a known fact that Filipinos love to eat. From the different annual fiestas and festivities celebrated in honor of cultural or religious figures, the country is a home to amazing culinary adventures that offer a variety of tastes and flavors from every part of the archipelago. Having been colonized by different foreign invaders, the Philippines has adopted different tastes and culinary flavors from almost every part of the world – and hints of these delectable choices can be found in so many local Filipino desserts. Take a look at eight of the best desserts from the Philippines that you should try right now. Thanks to the country’s tropical climate, it’s one of biggest coconut producers in Asia. As a wonder tree, the coconut offers a lot of products from their roots to the tips of its leaves. 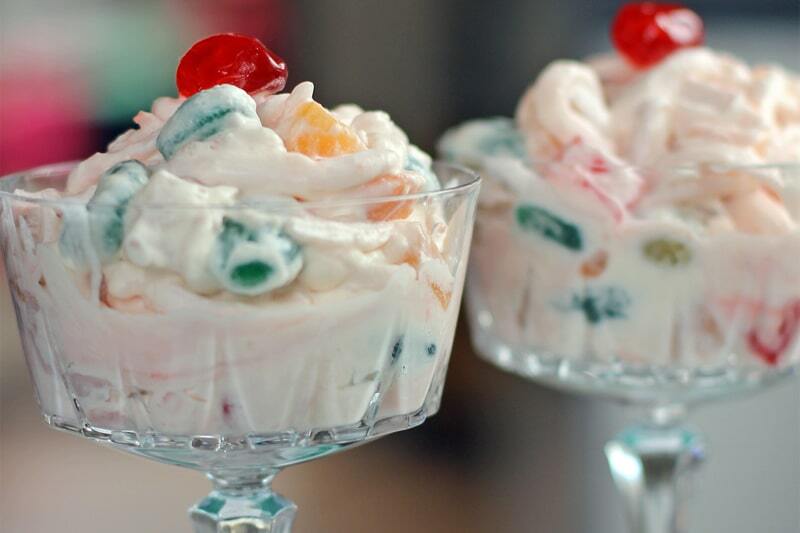 The flesh of its fruit locally named as “buko” (young coconut) is the main ingredient of Buko Salad – a popularly sweet and colorful Filipino dessert. A can of fruit cocktail is combined with a freshly grated flesh of buko and added with heavy cream and condensed milk. It’s usually served chilled and is a well-liked dish during town fiestas, Christmas and New Year celebrations. Turon is one of the Filipino desserts that is easiest to cook and prepare. 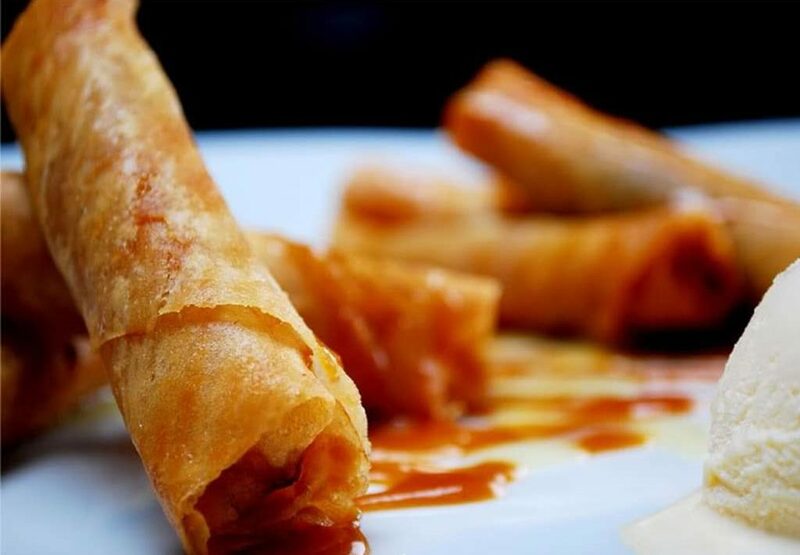 Its primary ingredient, the saba banana is wrapped in a spring roll wrapper and then deep fried in a boiling oil with melted brown sugar – and the result is a caramelized perfection. For a more special occasion, it can be topped with a scoop of ice cream. Bananas are common in the country regardless of the season so you can find this local dessert all year round. Most locals prefer to eat turon during afternoon siesta or it can serve as snacks when entertaining a guest. It can either be paired with a hot or cold drink. The leche flan is not originally a Filipino dessert but a product of the hundreds of years of influence during the Spanish colonization. 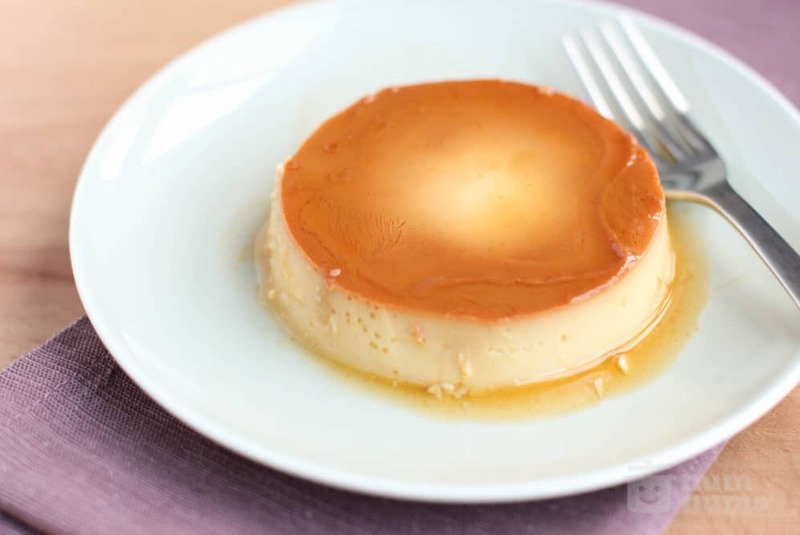 In fact, it is derived from a European dish that can be compared to a crème caramel. However, Philippines’ leche flan makes use of a sweeter type of milk, the condensed milk and is mixed with eggs then baked (or steamed). A caramelized top is a signature look of this delicious cream egg custard. While the ingredients are simple, this pinoy dessert is often served during very special occasions. Halo-halo, literally translated as “mixed” in English, is an actual mix of several colorful and flavorful ingredients like sweetened slices of banana, fresh strips of buko, tapioca pearls, cubes of mango, nata de coco (jellied and fermented coconut water) kaong (from a fruit of sugar palm tree), sweetened langka (jackfruit) and many more. The dessert is completed by topping a scoop or two of crushed ice, and drizzled with honey (sometimes sugar is added with the fruits) and evaporated milk. For a more special version, you can add ice cream, leche flan, or ube halaya. 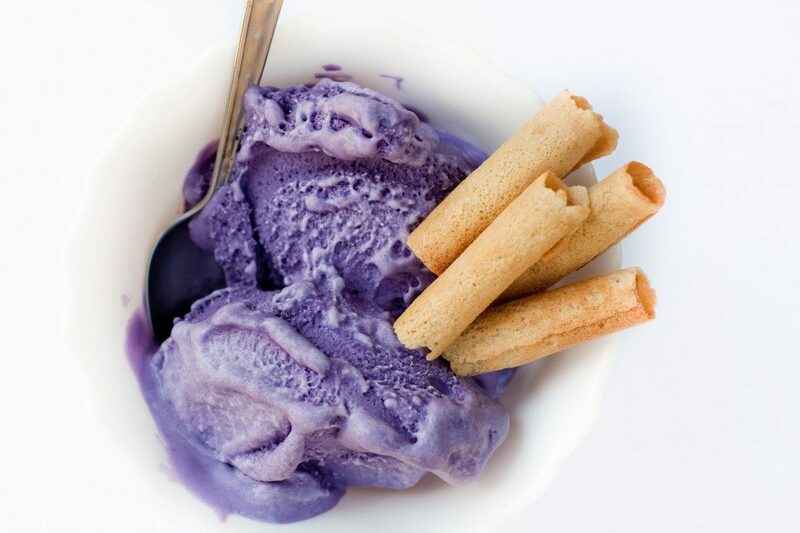 Ube Halaya is one of the most traditional and perhaps oldest desserts in the country. Its main ingredient, ube, comes from a sweet variety of purple yam that grows in the fertile land of tropical countries like the Philippines. The yam is boiled, and once soft, is mashed or grated so it can easily be mixed with sugar and sweet milk until it thickens into its preferred consistency. The result is a creamy pudding-like dessert with a signature “violet” or ube color. 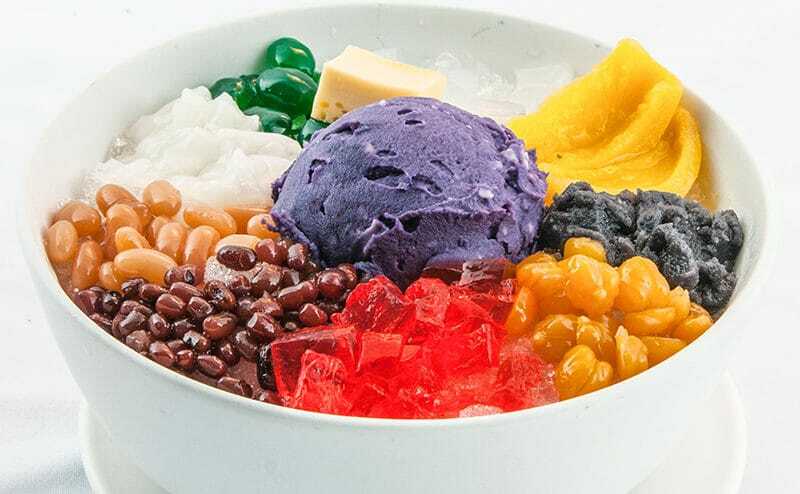 While it’s a complete dessert on its own, it can also be a special addition to halo-halo toppings. Don’t let the name intimidate you. 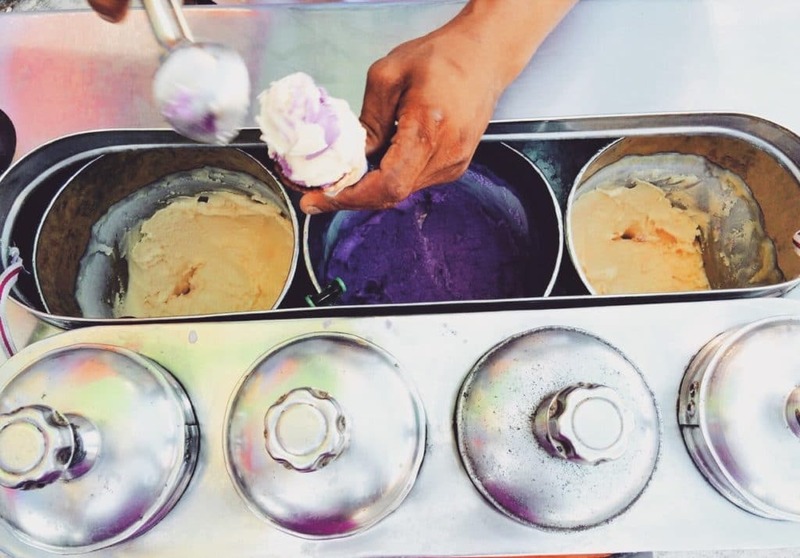 In fact, the Philippines’ “dirty” ice cream is one of the most famous desserts in the country. They are usually peddled in the streets in small carts and is offered in commonly different flavors depending on what is available during the season: mango, cheese, buko, and ube, avocado, jackfruit, strawberry (most common in Baguio) and many more. And to answer your question, they are not dirty – and no one is really sure how this delicious and locally-made dessert landed with that name. Regardless, it’s a must-try especially if you want to truly experience the freshest flavors of the Philippines. Saba banana has a lot to offer especially when it comes to creating the best Filipino desserts that can rival with other European and Asian delicacies. 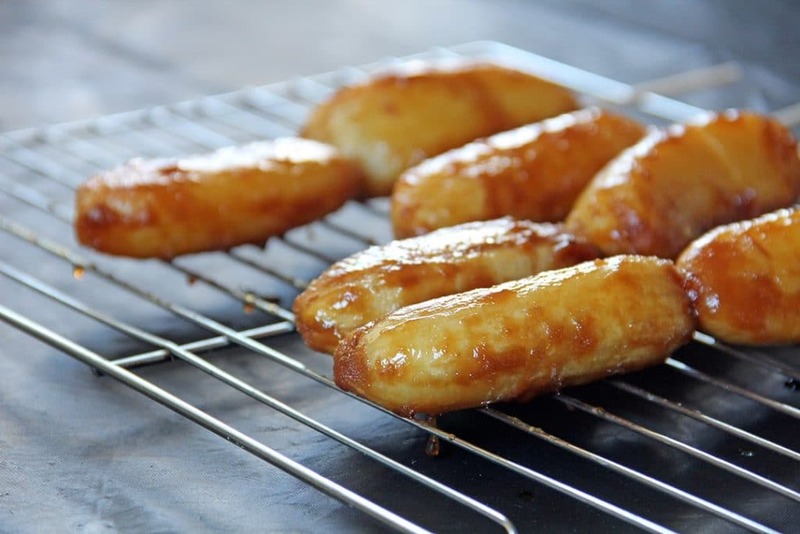 Banana-Q, for instance, is a local street food that offers a caramelized goodness in a stick. The saba banana is usually sliced and drizzled with sugar before deep frying in a pan of boiling oil. The result is a sweet fried saba coated in a thick and crunchy caramel. They are served queued in a bamboo stick, thus the name, Banana-Q (for the queue). You can find this dessert regardless of the occasion and is often eaten as an afternoon snack or a sweet dessert after a light meal. Mango Float is the Filipino version of the Italian Tiramisu. 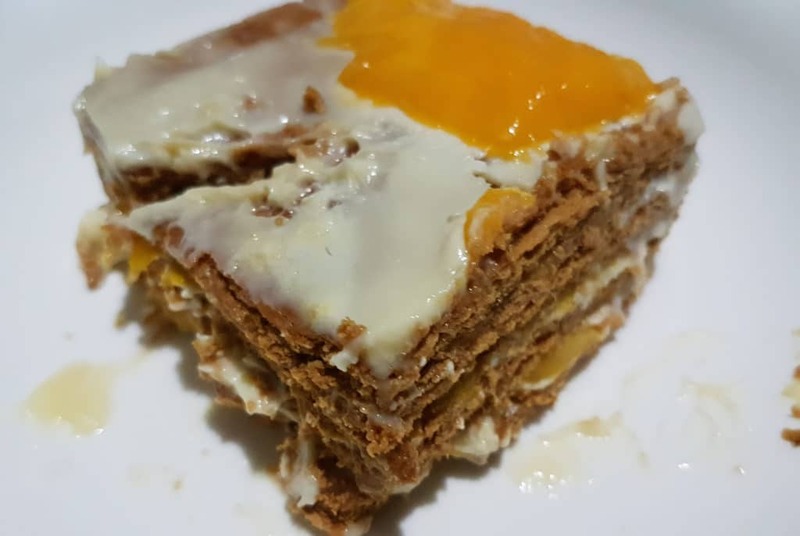 However, instead of ladyfingers dipped in coffee and layered with a delicious and creamy mixture of other ingredients, the Mango Float uses local ingredients: a local brand of Graham crackers, condensed milk, heavy cream, and its main source of flavor – mango. The mangoes can be sliced or mashed depending on the preference. First, the crackers are arranged to form a flat layer (others use crushed crackers) as a base. The mixture of cream and condensed milk forms another layer and the next layer is for the mango slices (or paste). The same process is followed until the tub is filled up. The dessert is refrigerated for 12-24 hours for the ingredients to settle and the flavors to sip through the crackers. It is then served chilled and sliced like a cake. When you travel to the Philippines, make sure that you’re not only going to a new place or meeting new people – you have to remember that if you want to fully emerge yourself in the country’s culture, a part of your journey should also focus on experiencing the true Filipino taste by adding one or two items from the selections above to your “must-eat” list. Good luck and have fun!